Scroll down for more information about each of the exhibitors. This list is constantly being added to so check back regularly. ​Accenture is a leading global professional services company, providing a broad range of services and solutions in strategy, consulting, digital, technology and operations. Combining unmatched experience and specialized skills across more than 40 industries and all business functions—underpinned by the world’s largest delivery network—Accenture works at the intersection of business and technology to help clients improve their performance and create sustainable value for their stakeholders. With approximately 442,000 people serving clients in more than 120 countries, Accenture drives innovation to improve the way the world works and lives. ​LEARN NEW SKILLS, GAIN QUALIFICATIONS AND MAKE NEW FRIENDS FOR LIFE. team. We’ll give you the opportunity to travel the world, experience different cultures and gain a host of skills all whilst earning a decent salary along the way. Train with us and you’ll get paid to develop new skills that will set you up for life. There are over 200 roles available in the Army including over 43 apprentice schemes in: Public Services/ Health; Engineering; Telecommunications; Animal Care; Logistics; Construction and Business Admin. All our roles come with full training recognised by civilian employers as well as a set path to promotion. We offer on-going support and excellent pay, starting from £18,488, and benefits that mean you take home more in your pocket. At ASOS our 2,000+ ASOSers are immersed in the creative worlds, live on their mobiles and have a truly entrepreneurial attitude. As a company, we’re not trying to mimic or profit from youth culture – we are part of that youth culture. There’s nothing that excites us more than finding talent, fuelling it, then letting it fly. Whether it’s developing the careers of our staff or investing in a new tech platform, we love knowing that we truly keep fashion moving forward. Ultimately, we get excited by interesting individuals and we want to feed this individuality, empowering our people and customers to look, feel and be their best so they can achieve amazing things. We believe our company is stronger when the diversity of our employees reflects the customers and people whose lives our technology impacts. We focus on six areas; disability, gender, multigenerational, LGBT, multicultural, multi-industry. ​Careersinracing, run by the British Horseracing Authority (BHA), promotes careers, jobs and training in the horseracing industry. Horseracing is the second largest spectator sport in Britain and is the largest sporting employer. There are a number of different opportunities available with a wide range of training courses from apprenticeships to an MBA. Find out more about this fascinating and diverse industry. ​Capco is a global management and technology consultancy dedicated to the financial services industry. Our professionals combine innovative thinking with unrivalled industry and domain expertise to offer our clients consulting expertise, complex technology and package integration, transformation delivery, and managed services, to move their organizations forward. Through our collaborative and efficient approach, we help our clients successfully innovate, increase revenue, manage risk and regulatory change, reduce costs, and enhance controls. We serve our clients from offices in leading financial centres across the Americas, Europe, and Asia Pacific. As a fully independent company, Capco is poised for growth and expansion, and you can be a part of our success story. Capco has a tolerant, open culture that values diversity, inclusivity and creativity. By putting people at the heart of our agenda, we foster a work environment where you can grow personally and professionally, while being able to be yourself at work. We are a UK-based service provider to the highways and airfield sectors. Services include civil engineering, maintenance and construction and all operations are carried out nationally. Digital Data and Technology (DDaT) enables the Home Office to keep citizens safe and the country secure, as well as at the front line of making the Home Office a modern and capable department at a time of unprecedented global change. We design, build and operate services that are critical in helping the department achieve its mission. You could be designing and building solutions to help people prove their identity or apply for visas, or working on the critical IT systems that support policing and counter terrorism, and help protect UK borders. Our success in this role depends on our ability to exploit the latest technologies to create leading-edge, world class solutions whilst ensuring they are secure and resilient. This is an exciting time to work for the Home Office as we develop some of the most challenging and transformative technology projects the department has ever seen. You’ll have a chance to shape the future and support our goal to provide exceptional services for everyone. It also offers a complete range of training on patenting and IP issues. As a graduate or undergraduate at Mace you get to choose what direction you take. You will deepen your knowledge, expand your skills, see the world and get to work with inspiring colleagues and influential clients. ​The National Careers Service is the publicly funded careers service for adults and young people (aged 13 or over) in England. We provide free, confidential and impartial careers information, advice and guidance on learning, training, career choice, career development, job search and the labour market, delivered by qualified careers advisers. The National Careers Helpline provides information, advice and guidance on all career related topics, including education, training, apprenticeships and employment over the telephone, webchat, email and text message, 7 days a week from 8am to 10pm, to everyone over the age of 13. The National Careers Helpline is 0800 100 900 and is free to call from most landline and mobile phones. You can also access our wide range of resources and our Adviser web chat facility at www.nationalcareersservice.direct.gov.uk. ​The Royal Air Force polices the skies, protecting the UK from threats at home while peacekeeping abroad. Our full and spare-time roles offer skills for life, and a chance to play a part in operations around the world – from providing humanitarian aid to preventing a civil war. As an employer offering world-leading training to its employees in over 50 different careers, the Royal Air Force has long recognised the pivotal importance of a truly diverse workforce. The unique skills and values that diverse individuals bring to the Royal Air Force are an essential facet of our business and underpin all we do. Whether at home supporting our communities or overseas on Operations, we know that our true strength lies in the diversity of our people. 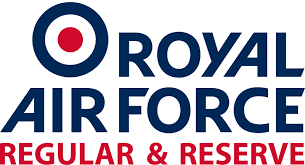 From the Management Board downwards, we are fully committed to ensuring that the Royal Air Force continues to develop, and improve, our culture of inclusion at every level of the organisation and are proud to acknowledge those who champion equality in the drive to deliver enduring positive change in our society. 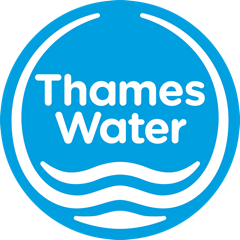 ​Thames Water is the largest water and waste-water services company in the UK. We provide the essential service at the heart of daily life, health and enjoyment to 15 million customers across London and the Thames Valley. On a typical day we supply 2.6 billion litres of drinking water and our 350 sewage treatment works treat more than 4.2bn litres of waste-water. Our 85,000 miles of water mains and sewers would wrap around the world three-and-a-half times. We are focusing like never before on delivering brilliant services and providing our customers with a great experience. We respect and value everyone. We are all individuals; we are unique and we bring diverse perspectives, lifestyles and experiences that contribute to our business. We understand the importance of appreciating and harnessing the unique skills and backgrounds that each individual brings to our family and are proud to be a Disability Confident employer and Stonewall LGBT+ diversity champion. If you're an organisation interested in being at our Diversity Careers Show, please get in touch for more information.